The village of Bois Grenier. On 4th March 1916 the Tyneside Scottish Brigade took charge of a section of the Western Front in its own right, when it relieved the Tyneside Irish, the 3rd Battalion taking over the line held by the 1st Tyneside Irish. The section of trenches was about 2 miles north-east of the former positions, and only about a mile or so outside of Armentieres. Just behind the line was the village of Bois-Grenier. The Tynesiders occupied some 1200 yards of trenches, bounded on the left by the hamlet of Rue du Bois, and on the right by Water Farm. 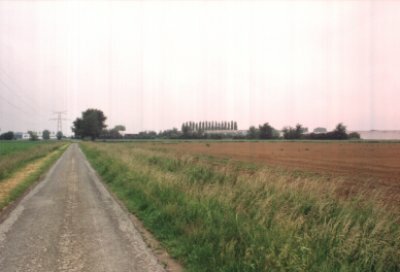 No-Man's Land was on average some 200 yards in width, but at the left end was a marked salient where the two front lines were only 50 yards apart. 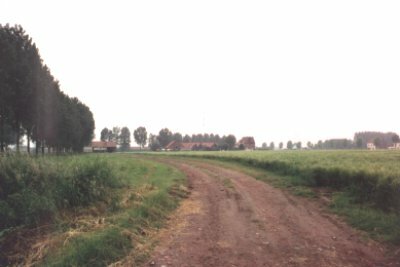 The countryside here is flat and featureless, although there were a few farms and a narrow track immediately behind the British Front line. About 70 yards to the rear of the front line was a support trench known as the Bois Grenier line, and a further 1000 yards back was the reserve line. The Divisional Artillery was positioned a further 1000 yards behind that. Zig-zag lines of communication trenches linked the various positions. Initially the front line was occupied by A, B and C Companies, with D Company in support. The 4th Tyneside Scottish held the line to the left, with the 16th Royal Scots on the right. This was the situation until 8th March. This track was just behind the trench line. 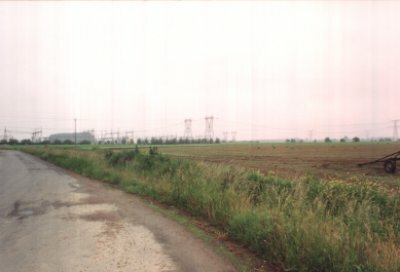 Another section of the line at Grande Flamengarie Farm. The Tynesiders were shelled on 5th and 6th, although snowy weather stopped this for the next two nights. The bad weather and shelling caused considerable damage to the trenches, and some 15,000 sandbags were used to rebuild and strengthen the parapets. The Battalion suffered more casualties during this stay in the trenches; on the first night in position one Corporal, two Lance Corporals and seven Privates were wounded, and Private Bates was killed. Aged 45, he is buried in Ration Farm Cemetery, about half a mile behind what was the front line. On 9th March the unit was relieved by the 2nd Battalion and moved back into Brigade Reserve. 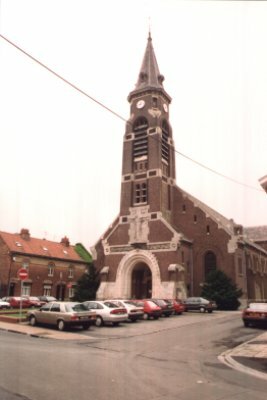 Battalion Headquarters and 'C' Company were in the village of Rue Marle, 'B' Company in L'Armee and 'C' Company in Chappelle d'Armentieres, all about 2 miles behind the front line. 'D' Company remained forward of the Battalion, in the Bois Grenier support line, one platoon being at Ferme du Biez, about a mile north of the left hand flank of the trenches previously occupied. On the following day 'A' Company's billets were shelled, resulting in the death of a Corporal and injuries to three other men. As a result, the Company was moved forward about a mile, occupying a line of trenches just behind 'D' Company. 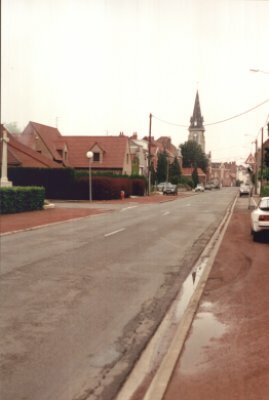 The village of Rue Marle, the HQ of B and C companies. 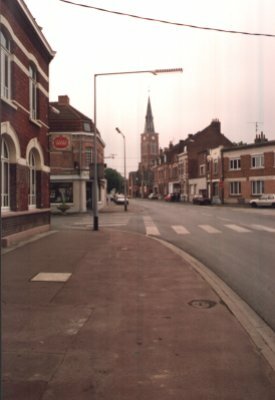 The village of Chappelle d'Armentieres, home to A company. The War Diary records that on 11th March the wintry weather eased, making conditions much easier. Also, Lt Atkinson went to Wisches on a machine gun course, and on 13th Capt Amos and 2/Lt Smith joined the Battalion. At 1 p.m. on 14th March the Battalion relieved the 2nd Tyneside Scottish, taking over the same line of trenches as before. The operation took 2 hours. 4th Tyneside Scottish were again on the left flank, but now the 27th Northumberland Fusiliers were on the right. Some exchanges of fire took place during this period in the trenches, as on the afternoon of 16th the enemy in the salient were bombarded with Stokes mortars and artillery shells, doing some damage to the German parapet. An unexploded German torpedo was recovered from the salient, and passed back to Battalion Headquarters. On the following day the Battalion suffered three more casualties, and one of these, L/Cpl Proud, is buried in the Ration Farm cemetery. On 20th March the unit received a reinforcement of twenty men, who were soon experiencing the effects of enemy fire, as on 21st the Germans managed to blow the roof off the Estaminet and damage the parapet in front of the centre Company's trenches. That evening the 3rd was relieved by the 2nd Tyneside Scottish and moved back to their billets in the vicinity of Rue Marle. The relief commenced at 7.30 p.m. and was completed in three hours. The unit remained in these billets until 25th March when they again took over the same section of trenches, with 'A' Company on the right, 'B' in the centre and 'D' on the left, 'C' Company forming the reserve. A day later a further artillery and trench mortar attack was carried out against the Germans in the salient. As the weather was favourable, this activity continued on 29th, but the unit itself suffered casualties, especially to 'A' Company. The Battalion again changed places with 2nd Tyneside Scottish on 30th March. 'A' Company were billeted at Rue Marle, 'D' Company at L'Armee, 'C' Company in the Bois Grenier Line, and 'B' Company in the support trenches near Ferme du Biez. Casualties during March had proved to be quite high. A battalion in the front line trenches would normally expect about 30 casualties in a month, but the 3rd Tyneside Scottish recorded 1 officer slightly wounded, 8 men killed and no fewer than 38 wounded, although some of these were soon back on duty. 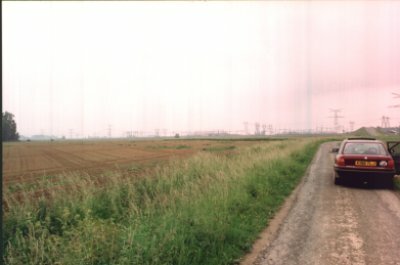 Whilst on this tour of duty the Tyneside Scottish were visited by four members of the Tyneside Scottish Committee, namely Sir Thomas Oliver, and Colonels Joseph Cowan, Johnstone Wallace and Joseph Reed, and the section of trenches was actually bombarded during the visit, giving the guests a true impression of life on the Western Front. 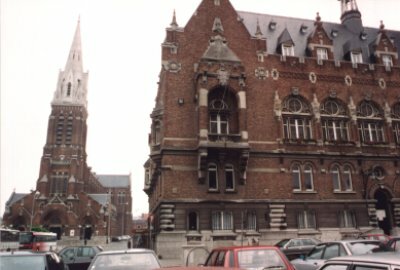 April opened with the 3rd Tyneside Scottish in the reserve billets, but then on night of 7th/8th April they were relieved by the 25th Australian Infantry Brigade, moving initially to the area around Rue Dormoire, taking over billets from 27th Australians. The Brigade then began its move back towards St. Omer. The journey was made in three stages, stops being made at Morbecque on 9th April, Ebblinghem on 10th and Zuduasques on 11th. The men finally arrived in billets in villages some 15 miles northwest of St. Omer on 12th April, having marched some 57 miles. The 3rd Tyneside Scottish was billeted in the villages of Nortleulinghen ('A', 'B' and 'C' Companies) and Mentque ('D' Company), with 1st Battalion at Recques, the 2nd in Nordasques and the 4th in Bayenghem. (See Map 4). Within a few days the men had cleaned up, sorted out their clothing and equipment, and signs of trench life soon disappeared. 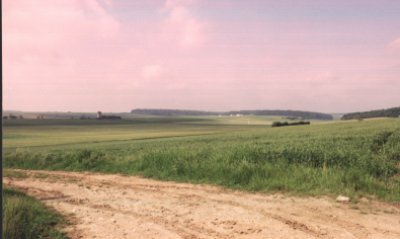 The countryside here was much closer to that which the Brigade was to find when it moved to the Somme area, with gently rolling hills and good farmland, quite unlike the flat, more industrialised areas around Armentieres. A new round of training began, with practice in bomb-throwing, bayonet fighting, signalling, machine-gunnery, trench mortar firing etc. Rifle ranges were improvised in local quarries, and musketry kept up to standard. This activity continued for some two weeks, when Divisional and Brigade exercises began. The area chosen to practice attacks on enemy positions was some distance from the billets, and a typical day involved a march of some 20 miles on roads and across country, as well as the actual exercise itself. These exercises continued until the beginning of May, when the Division was ordered south.